Please access the link below for the latest information on Coaches Classes and Youth Module Classes. 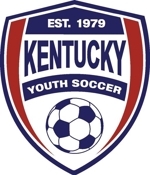 This is a KYSA-approved select league of western Kentucky and southwest Indiana clubs. Tournaments are held both fall and spring seasons.